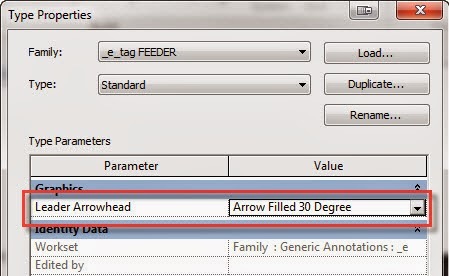 I had a request to write a macro that would change all families' Leader Arrowhead style to the same type in a project. Could we do the same with Font? I've been on may projects where the client standard font is not Arial. This would save a heck of a lot of time. Justin, I'll see if I can come up with a macro to do fonts. That would be great Troy. I tried to use this and create a macro in Revit 2015, but it complains about some old stuff. I have no idea of how to change the macro to get it to work with 2015-version. Are you in the mood for some macro update? But it will still run in 2015. It will need to be fixed for 2016 as that will no longer work. How can we find the Tags that have nothing assigned only? Thanks for sharing macro its great. Can we use this macro to change font? Do you have any macro that can change font also. hi , Thanks for sharing this code but how to definition for "ActiveUIDocument" ? Hi , Thanks for sharing this macro code but how to definition for 'ActiveUIDocument' ?